Loop customer feedback into product development and create the products people want. Break down feedback silos by importing key Intercom conversations directly to GLIDR. 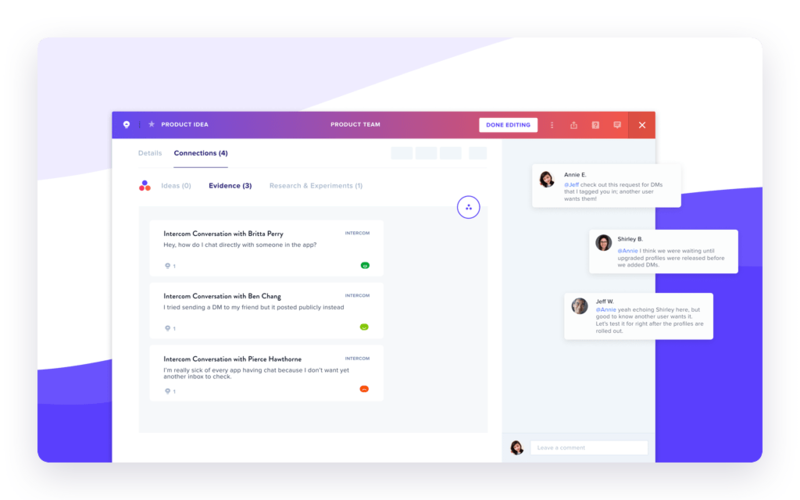 Search conversations by keyword, bring visibility to teammates outside of Intercom and easily link customer insights to your roadmap. 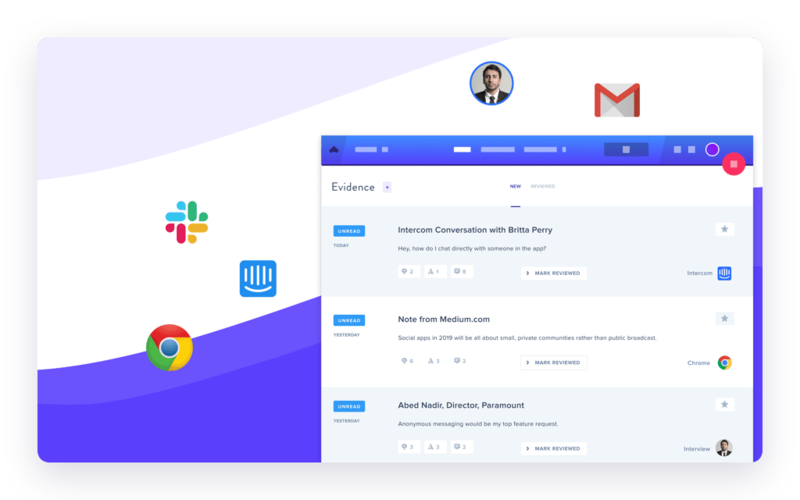 Build on existing product knowledge when you pull Intercom conversations into GLIDR as Evidence. Understand the patterns that emerge from disparate data sources: customer feedback from Intercom, data from our Chrome Extension, user interviews, email replies and more. 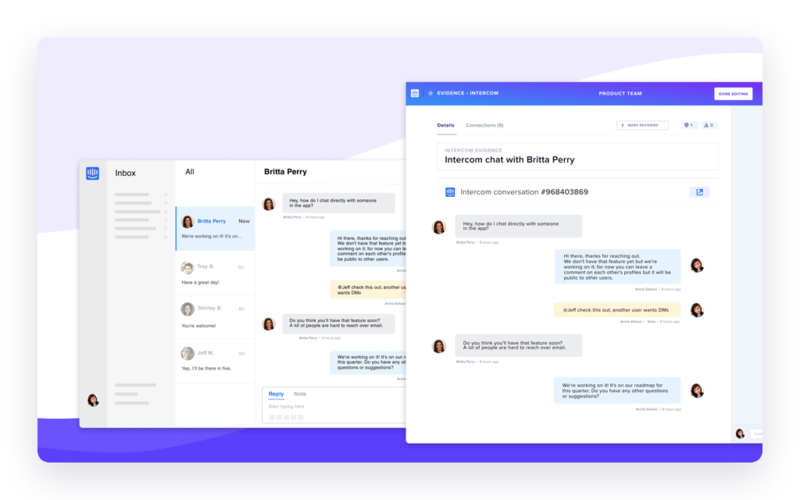 Once you transfer Intercom conversations to GLIDR, you'll be able to use them as new Evidence. Move from feedback to action by connecting this Evidence to your Product Ideas and adjusting your roadmap based on direct user insights. 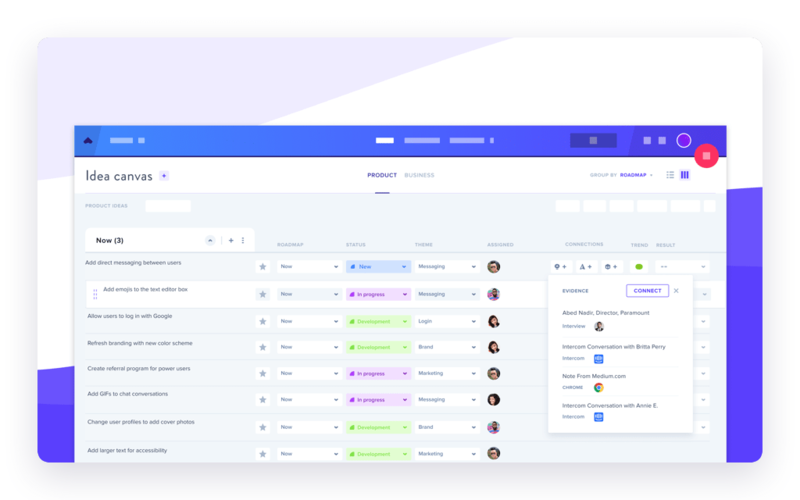 Create better visibility across teams by centralizing all of your product data. Get everyone on the same page by chatting with your team in the comments sidebar and @mentioning coworkers in discussions. Try it free for 14 days. No credit card required. and fans of the lean startup methodology. Comprehensive guide to product discovery and validation here.